This Year's Fall Colors Will Be Stunning. Here's When & Where They'll Peak Near You. Iconic: If you’re in the know, you call it “the Kanc.” Otherwise, you’re about to learn about the incomparably beauty of the 35-mile Kancamagus Pass, which takes you directly through the White Mountain National Forest. The northern NH roadway doesn’t even demand you get out of the car: At one point, you’ll have climbed as high as 3,000 feet above sea level (although a brief hike to Sabbaday Falls is well worth the stretch of your legs). Just know that there are exactly zero services along this stretch -- gas included -- so fuel up, eat a heavy breakfast, and pack a picnic. Overnight splurge: Bunk up at the Omni Mt. Washington Resort and spring for the canopy tour the next day. Lesser known: The Great Northern Woods region of the state is far less popular with leaf hunters but just as lovely, and up here, you’re more likely to encounter a moose than a New York–based foliage seeker. Milan State Park contains a 132-foot fire tower that alone is worth the visit. From there, you’ll be gaping at the red and yellow treetops all the way in Maine, Vermont, and Canada. Overnight splurge: Not much there. Think you can handle the park’s yurts? 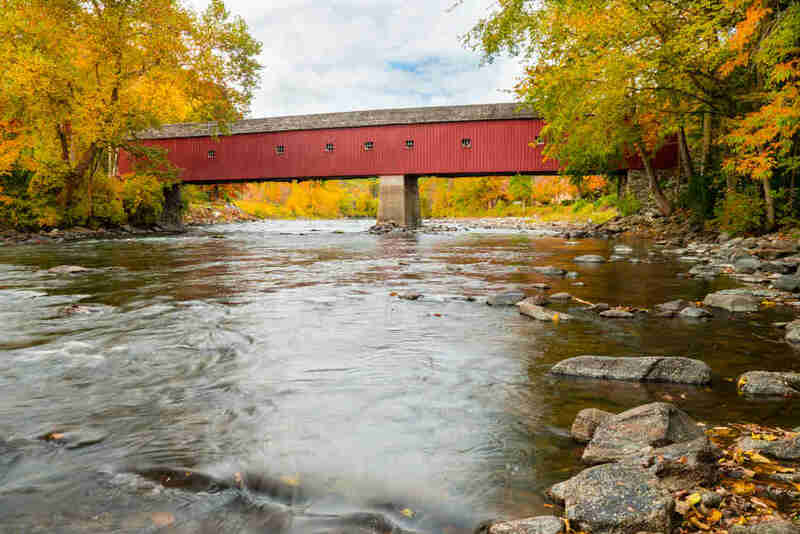 Iconic: The state’s loveliest drive might just be its largest highway, Route 100 -- a 200-mile-plus thoroughfare that vertically dissects the state from Massachusetts to Canada. In fact, nature photographers from all over the country hit the highway for guaranteed peak foliage photography. Two reasons? Route 100’s lack of billboards and its close proximity to the Green Mountains. 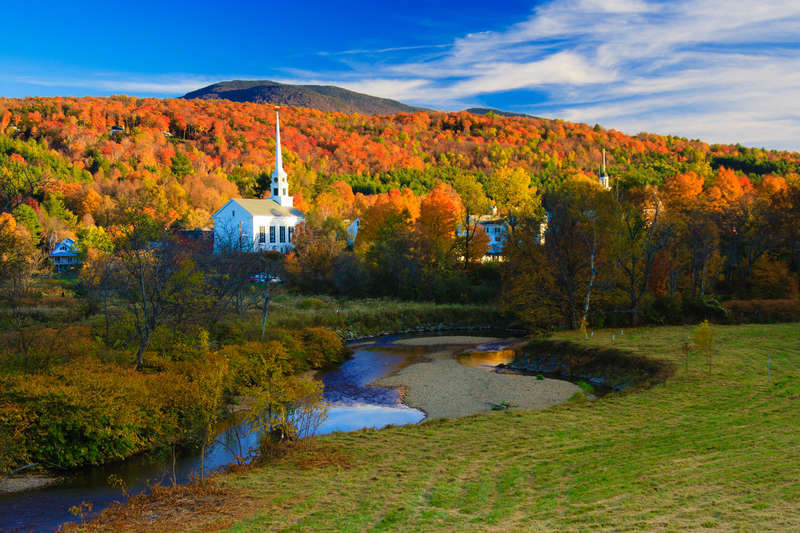 The other reason, of course, is that the highway leads you directly to some of Vermont’s most stereotypically charming small towns, from Weston (which houses the revered Vermont Country Store) to Plymouth Notch (home of the the award-winning Plymouth Artisan Cheese). But the main event comes when you turn off Route 100 onto the Green Mountain Byway, which takes you from Waterbury to Stowe. 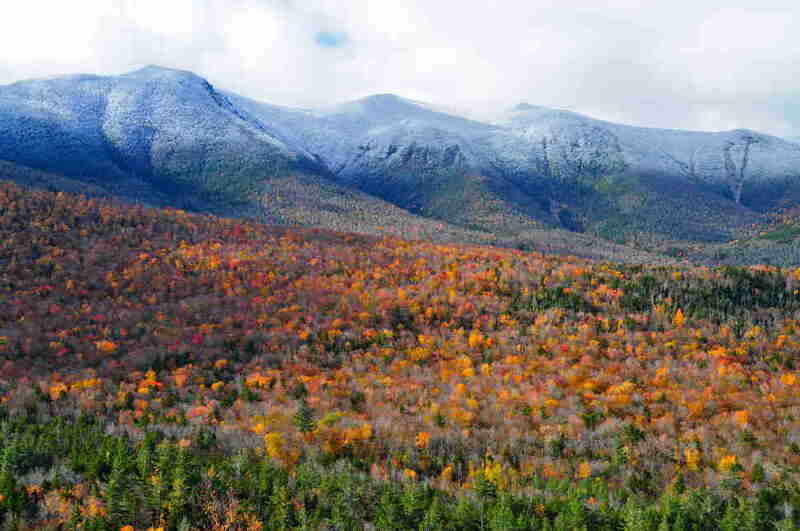 This means leaf-watching against a backdrop of bucolic mountains and farmland, cider donuts from Cold Hollow Cider Mill, and two crazier leaf-gazing options: a ride up the Stowe Mountain Gondola and a ride down the two-mile ZipTour. 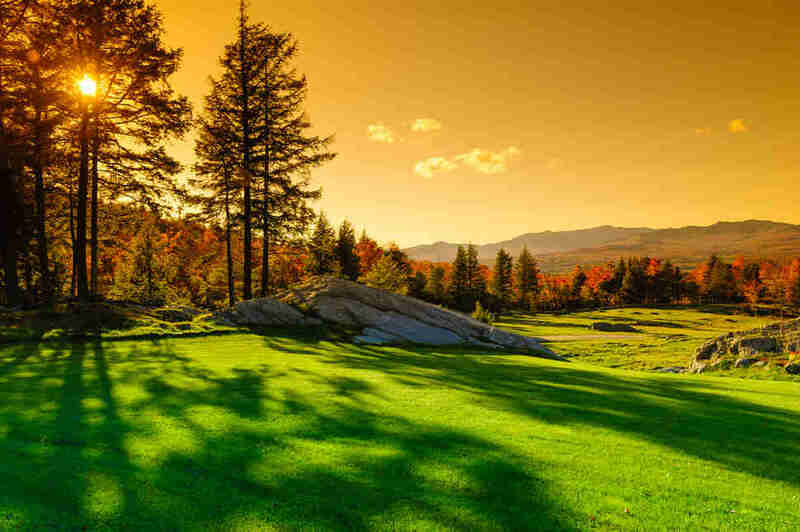 Overnight splurge: Stowe Mountain Lodge will point you towards the best foliage hikes in town. Lesser known: Historic Route 7A, aka the Shires of Vermont Byway, takes you between 17 tiny towns and villages, including the historic enclaves of Bennington and Manchester. The best leaf-viewing spot in the state may well be atop the 306-foot-tall Bennington Battle Monument (open through October 31). Or you can (carefully, carefully) cruise up the hairpin-y Skyline Drive, a privately owned toll road that winds up to the top of Equinox Mountain. There, at 3,848 feet above sea level, you’ll have simultaneous views of the Green, White, Adirondack, Berkshire, and Taconic mountains. Overnight splurge: If you can’t afford a room at the stunning Equinox Resort & Spa, at least consider grabbing a drink at the Falcon Bar and taking it out to the open-air fire pit. Iconic: There’s never a bad time to meander up the coastline via Route 1, but in the fall you get the double whammy of water and foliage views. If you wanted, you could start in Kittery and spend (many hours) winding your way to the Canadian border. But we say make pit stops in Ogunquit for a leaf-peeping stroll along the Marginal Way (periodic benches invite pauses); Kennebunk/Kennebunkport for a colorful drive along Goose Rocks Beach and a stop by the normally mobbed Clam Shack for a hamburger-bunned lobster roll (open through mid-October); and a more active hike of the Eastern Trail in Arundel. End the journey in Camden for all manner of peeping outside the box: a fall foliage chairlift ride at Camden Snow Bowl every Sunday in October; a leisurely stroll through the 66 acres of Merryspring nature center; and day sails on the Appledore II. Overnight splurge: If Camden is indeed your endgame, hole up inside the charming, seasonal Whitehall (open until late October). Otherwise, turn around and tuck yourself into the many splendors of the Hidden Pond in Kennebunkport, where you can actually take some time to paint the property’s perennials. Lesser known: Maine’s many islands might not even be on your radar in the summer, never mind as a foliage destination. But between the ferry ride over and the destination itself, any archipelago hop will force you to slow down and marvel at our region’s color show. Our heart lies with Chebeague Island, where you can bike the island perimeter (grab picnic vittles at Ebb & Thyme Bakery and Cafe) and walk over to Little Chebeague Island when the tide is out for even more of nature’s light show. If a rocky ferry ride isn’t your cup of off-season tea, drive up to Acadia National Park and Mount Desert Island. Overnight splurge: Grand hotel Chebeague Island Inn is Martha Stewart–approved and stays open through October 15. Iconic: The Last Green Valley is a National Heritage Corridor and a no-brainer for foliage hunters. Seventy-seven percent of its lands are either forest or farm, which means a whole lotta psychedelic leaf patterns and not a lot of commercial build to distract. The 36-town-strong route also offers all manner of classic New England autumnal fun: apple- and pumpkin-picking at Buell’s Orchard, wine-tasting at Sharpe Hill Vineyard, and hiking at Macedonia Brook State Park. (Alas, the route’s alpaca farm has closed). Overnight splurge: The Inn at Woodstock Hill grants you all the serenity and seclusion you seek. Lesser known: Want to peep where Meryl Streep peeps? Then head for CT’s still-undersung Northwest Corner (Streep has a home there). 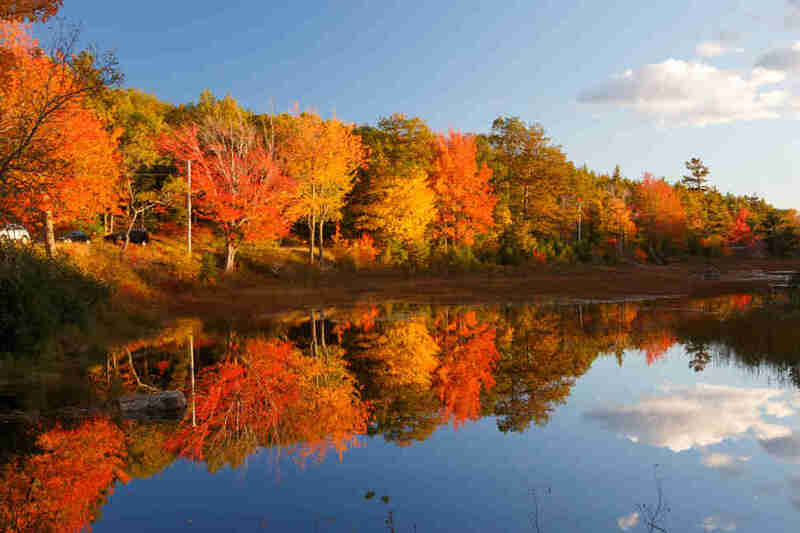 Come fall, Litchfield Hills and their 26 charming towns actually get their moment in the fading fall sun, owing to the truly singular foliage along Route 7. The roadway also shows you two gorgeous covered bridges (West Cornwall Covered Bridge and Bulls Bridge) and leads toward the working farm Kent Falls Brewing Co. Detour a bit more to hike up the Heublein Tower in Simsbury -- the 165-foot-tall relic grants you one of the best panoramic views in the state. Overnight splurge: One of the appeals of the Northwest Corner is just how damn affordable it is -- you can swing an overnight at many of the region’s loveliest inns. But the Inn at Kent Falls is closing for good on October 26, so show the place some final love. 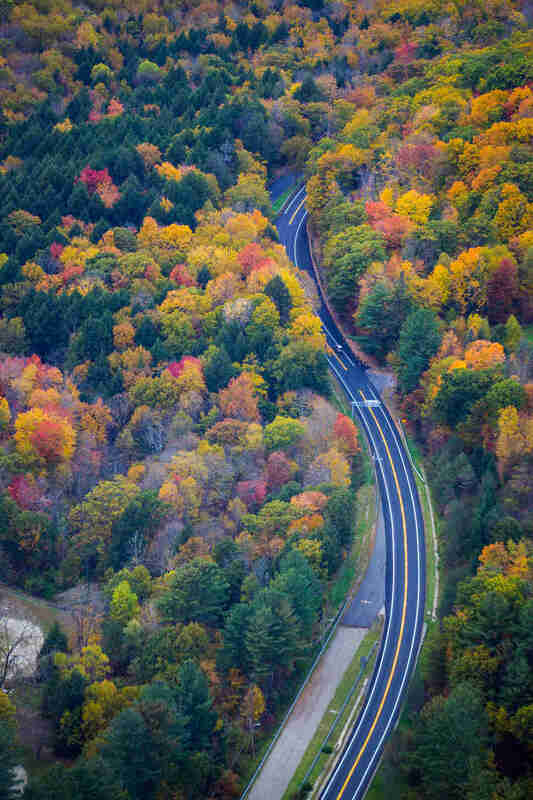 Iconic: Route 2 is the state’s foliage highway. The drive through Central and Western Massachusetts takes you through the need-no-introduction Berkshires, where the prismatic flora is truly breathtaking. By the time you hit the 42-mile Mohawk Trail, you’ll be perpetually breathless at the scenery -- then doubly breathless as you maneuver the infamous hairpin turn just before North Adams. Stop, get lunch at the Golden Eagle Restaurant (outside if the weather permits), and gawk at the vast, many-hued vista before you. Overnight splurge: The recently renovated Relais & Chateaux property Blantyre in Lenox is the splurgiest of splurges. Two words: champagne salon (well, actually, seven words: The Champagne Salon Inspired by Dom Perignon). Overnight splurge: Chatham Bars Inn in fall is slightly more financially accessible, but still oh so swellegant. Overnight splurge: This is why you end in Newport. Book a room at Gurney’s for the party scene or Hotel Viking for a more adult evening (though the activity atop the rooftop deck is hardly a snoozefest). Lesser known: Take I-95 south to Blackstone Valley for a twofer of leaves and water. The Scituate Loop takes you around much of the serene Scituate Reservoir (just brake for bikers, as it’s a favorite motorcycle ride). 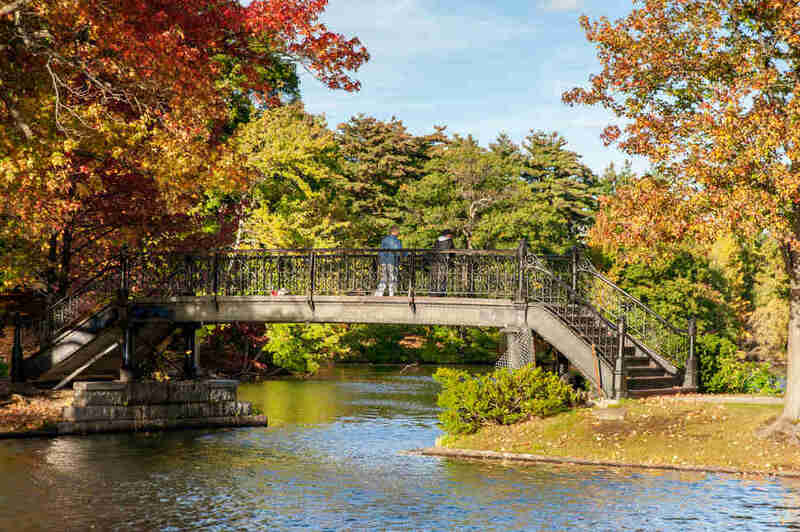 And here there are two more creative ways to reach your foliage quota: a cruise on the Blackstone River (available through mid-October) and the daylong fall train tour (which actually crosses into Connecticut). Overnight splurge: NYLO Warwick is equal parts industrial history and boutique chic. Meaghan Agnew is a contributing writer. Follow her on Twitter and Instagram.